How to Keep Your Family Recipes Forever? 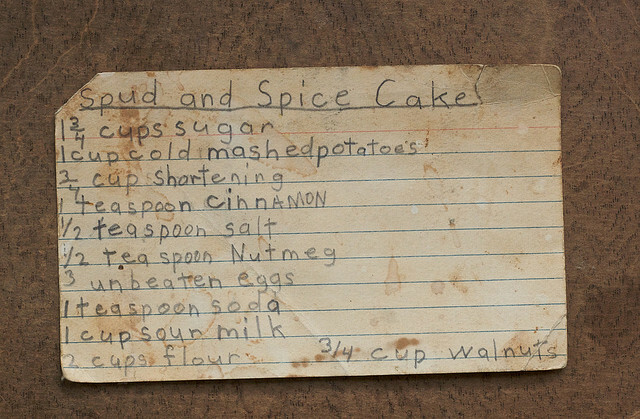 Do you have a cherished recipe passed down from your grandparents that you want to pass down to your loved ones? Wouldn't it be so cool if you could find these recipes in an instant? Well now you can! Engrave your family cherished recipes -- even the ones passed down from generations -- in 6 inch tile and install them above your oven or sync area of your kitchen. This is something that will never go away and can be enjoyed and passed on forever. Left like what you see below, it won't last long! Share your ideas of how you keep your family recipes safe?